Join us for the Parents as Partners Conference on Saturday, March 30, 2019! This all-inclusive conference is organized by TDSB parents for TDSB parents, guardians and caregivers. Participate in workshops, network with parents and community agencies and learn new strategies to support your child’s success. Registration opens in February! Register early as there is limited space in each workshop! ALL parents/guardians/caregivers of TDSB students are invited and welcome to attend. Parents as Partners Conference 2019 is a FREE conference. Whether your child is just beginning on their educational journey in elementary school or closer to graduation and planning for the future, there are informative and empowering sessions for parents/guardians/caregivers of students of all ages and stages of education. Busing is available and can be chosen when you register online. Pickup at each busing location will be at 8 a.m.
View a map of the Beanfield Centre (formerly named Allstream Centre). The Parents as Partners Conference 2019 is planned by parents, for parents and we are so pleased to be able to offer a selection of sessions that cover a broad range of topics to provide parents with useful information and resources to help your child improve their achievement and well-being at school and at home. 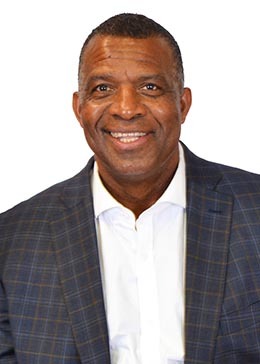 Karl Subban is a former Toronto school principal and the father of five children, including three NHL players. He’s dedicated his life to helping others reach their potential. In his powerful talks he explores teamwork and leadership and offers a fresh take on what it means to succeed. All seminar rooms are wheelchair accessible and reserved seating will be available. Please identify yourself to conference staff for assistance in locating wheelchair accessible entrances and washrooms. Feel free to contact us in advance of your arrival if you have any concerns. A free day camp is available for children ages 4 to 12 to support conference participants. Children will participate in a camp at nearby Parkdale Jr and Sr PS. More details will be available when registration opens.